When it comes to advertising online, local SEO is an indispensable strategy for every small business looking to target their local area. Dentists, plumbers, computer repair, and more, these kinds of businesses have to be able to reach out to their areas with their marketing message. The problem arises when they fail to understand the difference between local online marketing, and online marketing in general. This can lead to wasted time, effort, and money. Let’s go over local SEO marketing, and what it can do for small businesses. SEO stands for search engine optimization. This is when a business takes steps to push their website and its pages to the top of search results like Google, so that when people make a search related to their services/products, their website will be what they find. As you can imagine, this is a very powerful form of marketing. Local SEO is basically the same concept, but on a more local scale as the name implies. For example, if someone searches for “best dentist Chicago,” then they will find dentists in Chicago. This makes keyword phrases like this very valuable, and sought after by local businesses looking to expand their marketing reach. As opposed to purely online businesses, brick and mortar local businesses have several disadvantages that they need to overcome in order to be successful. This includes having a much larger overhead, and of course, the need to target people within their local area. According to Forbes, a massive 91% of people who own mobile devices have used their device to search for local business. Out of that percentage, 61% actually made a phone call, while a huge 59% actually visited the business in person. As you can guess, being able to take advantage of such incredible statistics is a major advantage for local businesses. Another amazing statistic, this time provided by SearchEngineWatch, is the fact that 70% of people who use mobile devices will use the “click to call” function directly from Google. This means that people are performing searches, then immediately call the local business that they find. “SERPs” refers to the search engine result pages that are displayed when someone makes a search. Of course, being on the first page is best, but these days there is a better position known as the “3-Pack.” This is where the big money is made. Being a part of the 3-Pack carries its own perks of course. According to Moz, 44% of those who perform a local search using Google will click on one of the businesses in the 3-Pack. Conversely, only 8% will load more results, and scroll down to see the other businesses that are listed on the first page. This makes getting into the 3-Pack a pretty important deal. 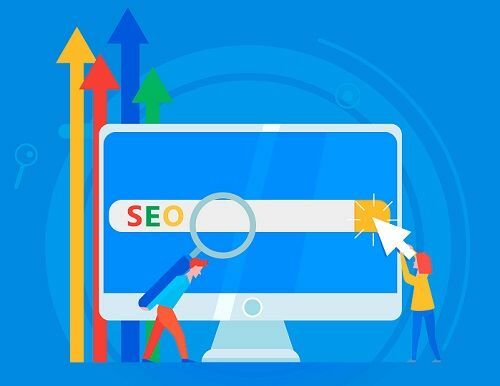 As any digital marketing agency will tell you, your positioning in the SERPs is very important, and of course, getting into the 3-Pack is your ultimate goal. The first step that you need to take is making sure that your physical address is up-to-date in all the online directors you’re listed in, especially Google My Business. If your address is wrong, it won’t show up where it needs to when a potential customer searches for your type of business in their area. All three are critical for getting the search engines to rank you, and for helping potential customers to actually find your business itself. In fact, if this information isn’t consistent across all directories, it can sabotage your efforts to get into the 3-Pack. The good news is that there are services, and software, that can make updating your info across all platforms much faster and easier. In many cases, you can even get your digital marketing agency to handle this for you as well. So we can all agree that local SEO is powerful, but just how powerful? The truth of the matter is, even if your business doesn’t have an actual website, being listed in the local search results is still possible, giving you customers, clients, and capital while you work on your site if you intend to have one. Local searches also have extremely high conversion rates. For as little effort as listing your business in online directories is, you can expect to see that investment pay off many times over as you’ll have more potential customers and clients contacting you. From there, it’s just a matter of how good you are at converting those people into paying customers. Katrina is a hardworking individual who always gives her best. As a degree holder, she aspires to establish herself within the media industry. Her passion for everything fashion and adventure made her a go-getter. Expert in building online partnership, she's been working in the digital marketplace for several years.